Light Filtering Honeycomb Blinds In Bay Window.  Honeycomb blinds (Cellular blinds) in Melbourne at prices you can afford. Honeycomb blinds are also known as cellular blinds because of their unique structure. Not only does the cellular design look great, it’s one of the best ways to insulate your home. If you’re looking for a low profile blind, with a crisp linear look, our honeycomb blinds in Melbourne are ideal. They are also very good in assisting with noise reduction. Because of the anti-static fabric there is also minimal cleaning required. 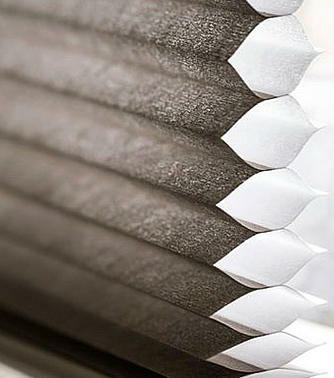 Honeycomb Blinds Affordability, with a quality guarantee. Our cellular blinds in Melbourne are available in 2 types of fabric, one for light filtering and the other in a blockout design for room darkening. Our range comes in single layered and duo-layered honeycomb for added insulation. They are a great way to lower your heating bills during the winter. Perfect for the home and office, our range is made from spun polyester to create a durable, anti-static honeycomb structure. Our Honeycomb Blinds are made right here in Melbourne, using the very best components and workmanship. We back our quality with a 5 year warranty. Our Honeycomb Blinds are made using the latest manufacturing technology. Being made locally means you are also supporting Australian Made. Honeycomb Blinds are engineered with an innovative honeycomb shaped cellular design. This unique design creates air pockets which increases the blinds insulating properties. All of our blinds are designed with child safety in mind. This includes an innovative child safety chain which breaks away from the blind if a child should become entangled in the cord. Our range is made using a hi-tech, highly durable spun polyester with anti-static properties. This reduces the incidence of dust sticking to your blinds.